Fengdu Ghost City, located in the north band of the Yangtze River of the Fengdu County in the downstream of the Chongqing city, is a famous attraction along the Yangtze Rive because of its unique scenery and culture. It is also called “the Sequestered City” and ” the Amazing County for Chinese Songs”. It is famous for its various nether land architectures and appearance. 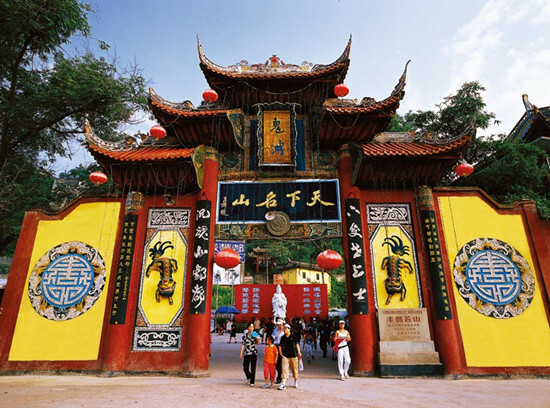 There are much mysterious architecture that shows the nether world here including the Ancestral Temple, the Tianzi Hall, the Naihe Bridge, the Huangquan Road, the Wangxiang Plateform and the Hall of the Queen Yao. Attracions of the Fengdu Ghost City are unique with plentiful and profound culture. There are key scenic spot areas here, the famous mountains of the historical sites in the Yangtze River spot area, the largest dynamic state places of the historical figures and cultural heritage of the ghosts in China, the national class forest park—the Shuanggui Mountain, the tomb sites with the largest scale and biggest number in China, the most excellent stone enervation of the ghost in the world, the most exciting and adventurous drifting and the Sidou Ping forest park with low height above the sea leaves featuring the charming scenery leaving you a relax able and enjoyable travel. 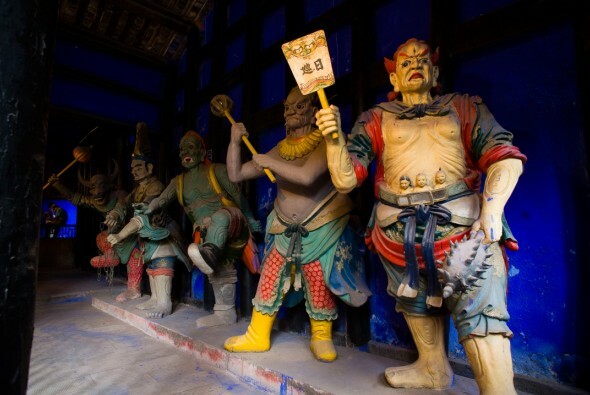 Ghost towns temple fair, holding at 3rd March of the lunar calendar, offers you all kinds of custom parade shows, will shock you and make your trip at Fengdu Ghost City unforgettable. Travel tips: 1) Ticket price: 55 RMB/ adult in the slack season from 1st November to the end of February, 80 RMB/ adult in the peak season from the 1st March to 31st October. 2) Opening time: 7:00 a.m. to 17:20 p.m. (stopping sell ticket after 16:00 p.m.). 3) Best time to visit: all the year round except the hottest days in summer as the climate in Fengdu is temperate. 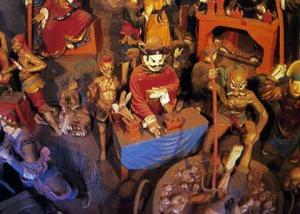 4) Festival of Fengdu: Ghost towns temple fair holding at 3rd March of the lunar calendar.